Survivors and others affected by past mass shootings, including those in Colorado and Tucson, expressed shock and condolences in the wake of an elementary school shooting that left 20 children and six adults dead Friday. Frank DeAngelis, who was the principal of Columbine High School in Littleton during the mass 1999 shooting that left 13 dead, told CBS Denver his first reaction to Friday's tragedy in Newtown, Conn.: "Not again." "It just made me sick to my stomach," he told the station. "It just takes me back to what we felt on April 20, 1999. Even though it's going to be 14 years, anyone that was alive during that time or in schools at that time or especially at Columbine, it just takes us back to that horrific day." DeAngelis said that he is available to me with members of the Newtown community in the future to help them heal. 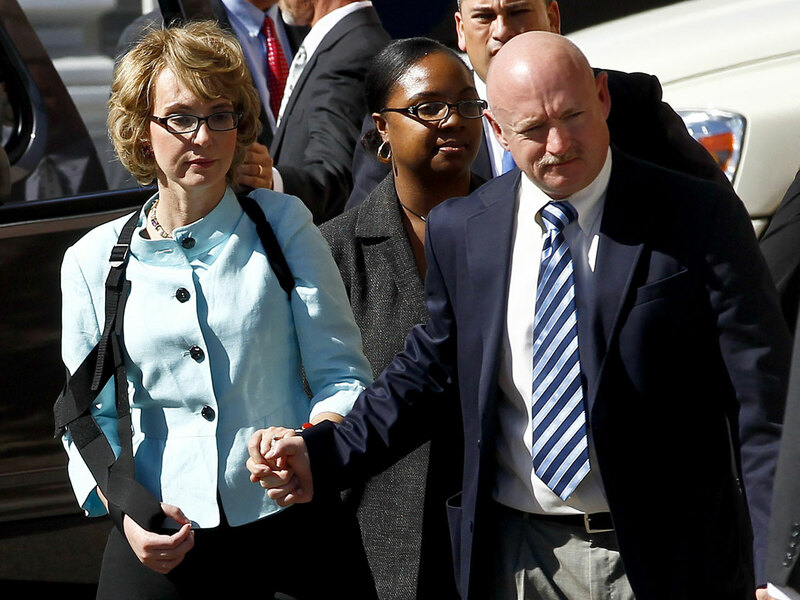 Mark Kelly, the husband of Congresswoman Gabrielle Giffords, said he and Giffords offered their thoughts and prayers to the families of the victims. Giffords was gravely wounded when a gunman opened fire at a community event in Tucson, Ariz., and killed six others in January 2011. "As we mourn, we must sound a call for our leaders to stand up and do what is right. This time our response must consist of more than regret, sorrow, and condolence," Kelly, a retired astronaut, wrote in a statement published on Facebook. The mayor of Aurora, Colo., also offered condolences after the attack. Twelve people were killed and dozens more were injured when a gunman opened fire during a premiere of "The Dark Knight Rises" at a movie theater in July. James Holmes, 24, was charged in the shootings. "It is almost incomprehensible that an elementary school would be the site of such violence," Mayor Steve Hogan said, according to the Aurora Sentinel. However, he said the time was not right in commenting on gun laws. Virginia Tech President Charles Steger sent a letter out to the campus community after news about Newtown broke, according to NBC affiliate WSLS-TV. Eung-Hui Cho, 23, killed 32 people and himself at the university's campus in Blacksburg in April 2007. "We of the greater Virginia Tech community know, from our experience, of the unending sorrow and horror that has now descended on the Newtown, Conn., community," he wrote. "No words can express how they now feel over this senseless and insane tragedy." Newtown's tragedy also reverberated in Oak Creek, Wisc., where gunman Wade Michael Page opened fire at a Sikh temple and killed six before taking his own life in August. School Superintendent Sara Burmeister said it was a "tragedy beyond words can describe," according to the Oak Creek Patch. "We always think, 'It can't happen here,' and we pray fervently that it won't. But as we know from our experience this summer, it can happen anywhere, even in the quietest and gentlest of communities. My heart just aches for that entire community. I can't imagine how they will recover from this horror," she told the news site.